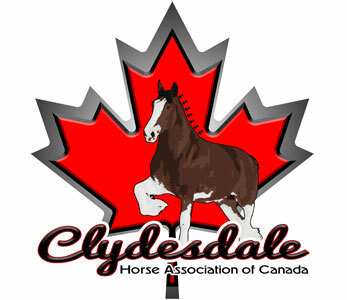 Welcome to the Clydesdale Horse Association of Canada. Our Association was incorporated in 1886, under the Ontario Agricultural and Arts Act, and incorporated under the Live Stock Pedigree Act, in 1901, for the encouragement, development and regulation of Clydesdale horses in Canada. The Clydesdale Horse Association of Canada maintains a supervision of breeders of Clydesdale horses, and establishes standards of breeding, and a system of registrations through the Canadian Livestock Records Corporation (CLRC). The Association annually publishes and distributes to members an impressive and comprehensive full colour directory of members, industry news, show results and articles – The Canadian Clydesdale Contact.